The British Television Location Guide reveals the real-life filming locations for dozens of top television series including Downton Abbey, Broadchurch, Call The Midwife, The Village, Last Tango in Halifax, The White Queen, Sherlock, Doc Martin, Midsomer Murders, Endeavour and Doctor Who, Lewis and dozens more. 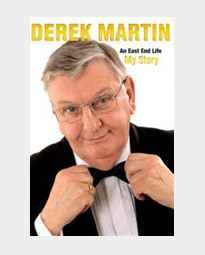 Lavishly illustrated with photographs of top stars including Martin Clunes, Dame Judi Dench and David Tennant the book is the essential companion for viewers and tourists alike - and a comprehensive record of where TV programmes are filmed and how you can visit the locations. 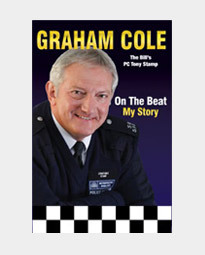 Compiled by Steve Clark, author of Only Fools and Horses - The Official Inside Story, and television expert Shoba Vazirani, it reveals the secret settings for dozens of top television shows. 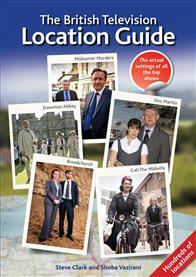 From Broadchurch to Mr Selfridge and from Game of Thrones to The Fall, The British Television Location Guide gives details of how you can visit the filming locations that you have seen so many times on the television.